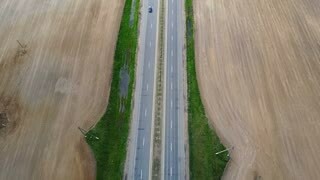 Aerial view of the traffic road. 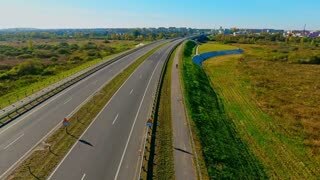 Cars driving on motorway through the beautiful countryside field. 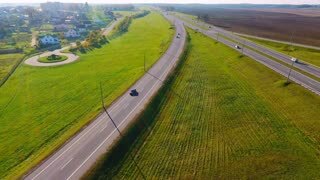 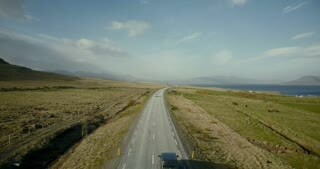 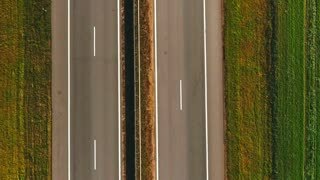 Aerial drone shot of empty motorway. 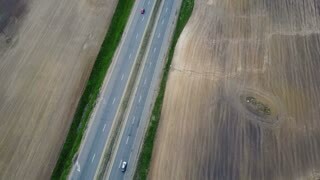 Car driving through the road at the countryside, through the field. 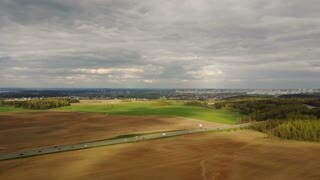 Aerial drone shot of countryside view. 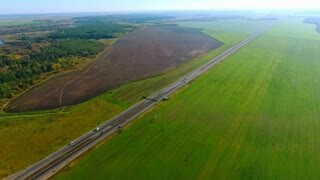 Copter flying over the beautiful green meadow, field after harvesting and road. 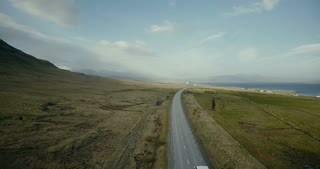 Aerial view of the mountains road. 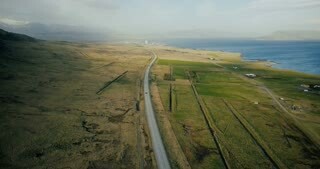 Cars riding through the green field on the motorway near the sea.